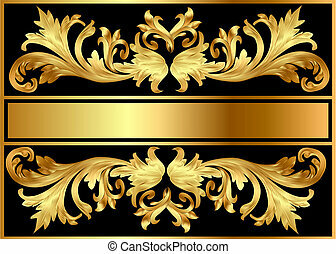 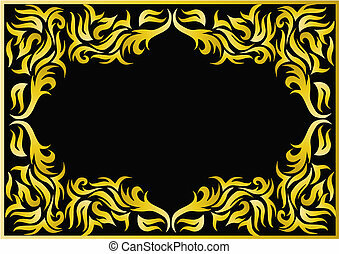 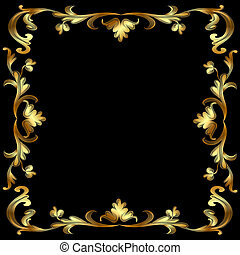 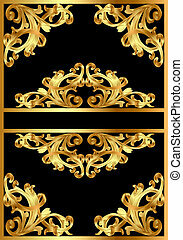 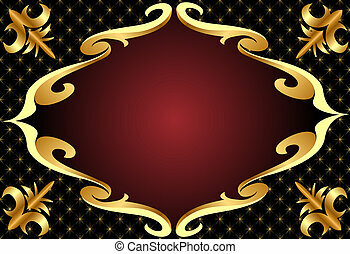 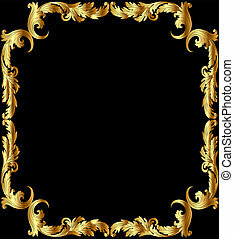 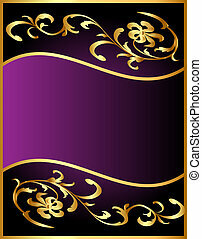 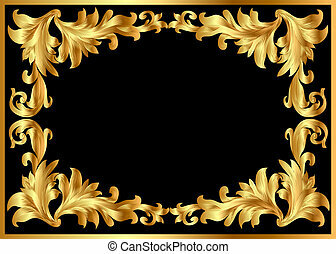 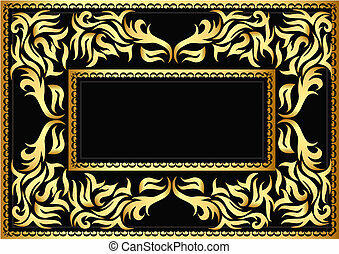 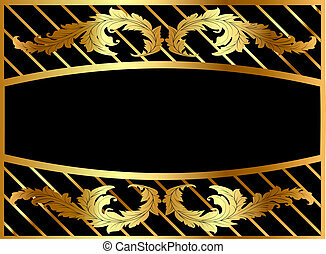 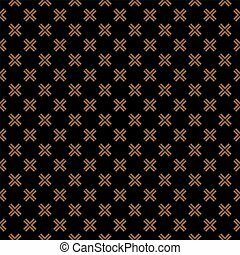 Illustration frame from gild with pattern on black background. 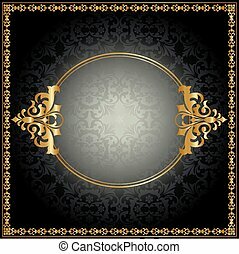 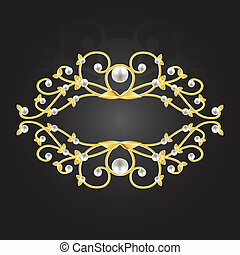 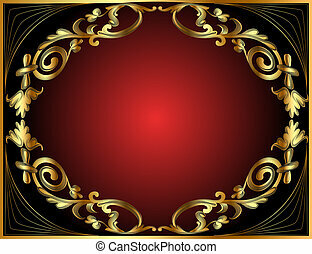 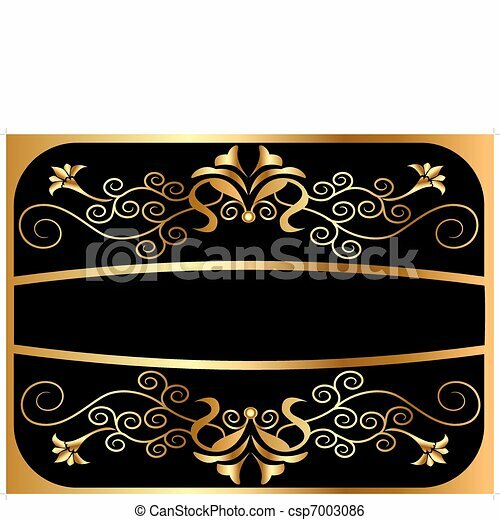 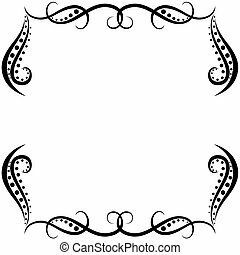 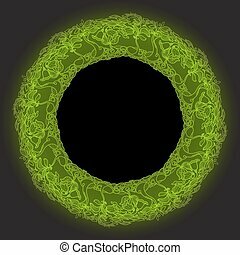 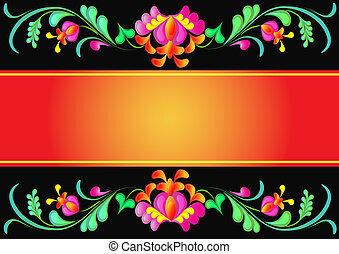 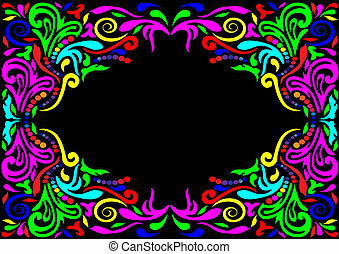 Vector vintage round frame from floral pattern on black background. 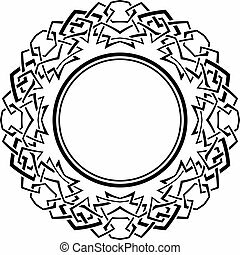 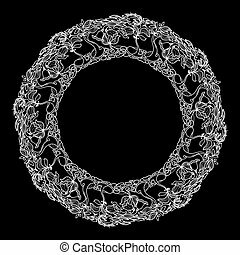 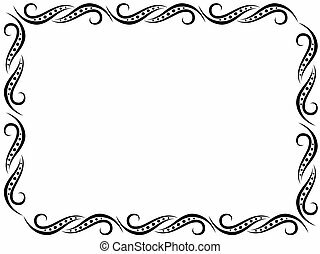 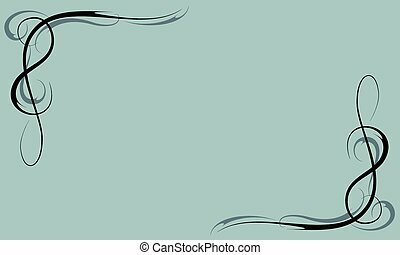 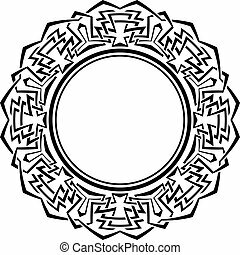 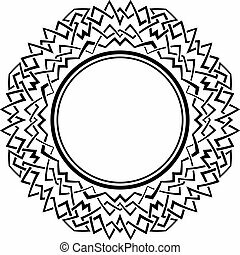 Line art floral circle frame. 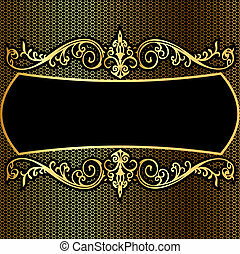 Vintage frame in retro style on a black background. 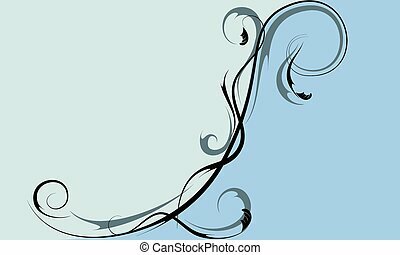 Stylish design. 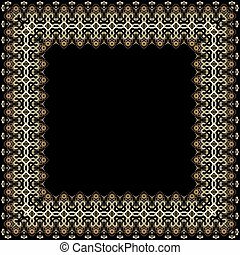 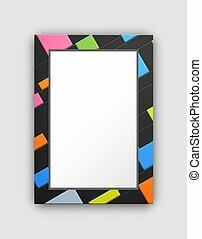 Frame with black dots on white background. 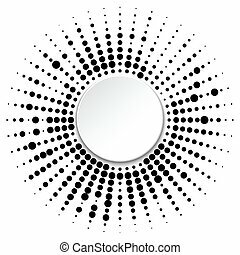 Halftone effect.